Yes, another endless running game. Whether you like them or not they are constantly coming out and the latest one to hit the press radar is RunSanity by Heliceum. 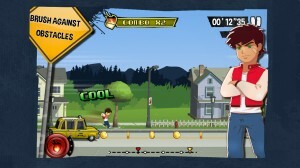 But luckily, RunSanity isn’t a boring old typical endless runner! Instead it tries to add some new blood to the genre. 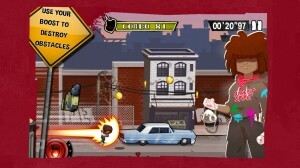 Gameplay of RunSanity is fairly standard and there is an endless mode as well as an arcade mode. You’ll find yourself running, jumping and boosting just like you would in any other endless runner. There is an interesting brush obstacle combo system that not many endless runners use but add a new depth of gameplay here. The big thing for RunSanity is the story. Yes, a story in an endless runner. The story takes place across 30 levels and tells the story of your main character (and his friends) taking on an evil nerd who has turned everyone into dweebs. So while it is lighthearted it tries to give a lot of depth and to flesh it all out. 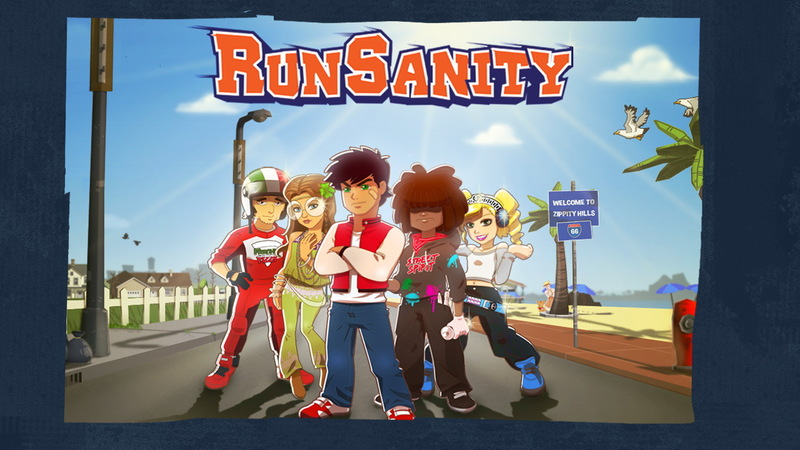 RunSanity also has heavy emphasis on social interaction where you can actually upload your friend’s top speeds and race their ghosts in levels. Overall, RunSanity isn’t exactly your typical endless runner and for that it deserves some praise.